Microsoft has been the dinosaur of the Browser kingdom, but then as with the worthy comparison, Microsoft’s vice grip of the browser markets is loosening out. 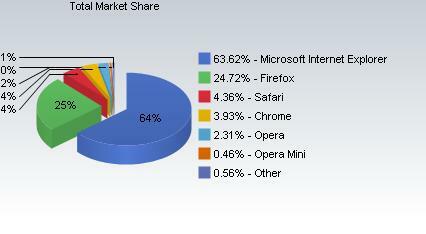 The latest report of market shares shows 65% share for IE. Mozila Firefox has scaled upto to 25% market share. Android and Safari are small at 4%, but Android atleast is making the right kind of noises and moves and is radically redefining the Browser markets. 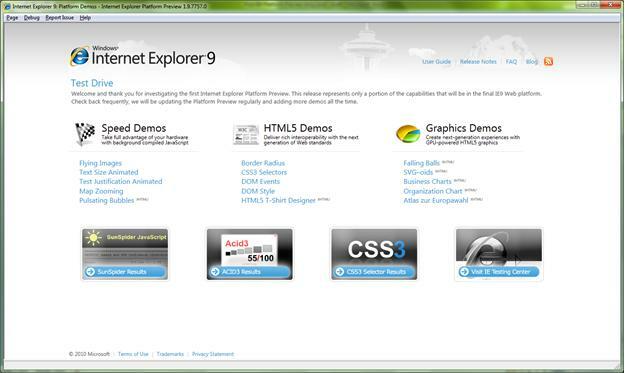 The Internet Explorer needs to keep up and IE9 seems to be Microsoft’s bet in the new age of browsers. Hardware accelerated text and graphics. An increasing fraction of Microsoft’s business is moving online, too, through its Bing, Live, and now online Office 2010 sites and Microsoft is trying to consciously migrate consumers to the cloud. The task is to build a better IE so all the Web sites have a better experience. Microsoft has recently joined the HTML standards effort. Microsoft uses the Direct 2D, which is a hardware-accelerated, immediate-mode, 2-D graphics API that provides high performance and high-quality rendering for 2-D geometry, bitmaps, and text. Direct2D also facilitates a technology called sub-pixel positioning that can smooth the appearance of text on the screen. With the old technology, that chore can update the screen at a rate of about 5 to 10 frames per second while using 50 to 60 percent of the processor’s horsepower, but using the Direct2D method, the frame rate jumps to a range of 40 to 60 per second while the CPU usage plunges. 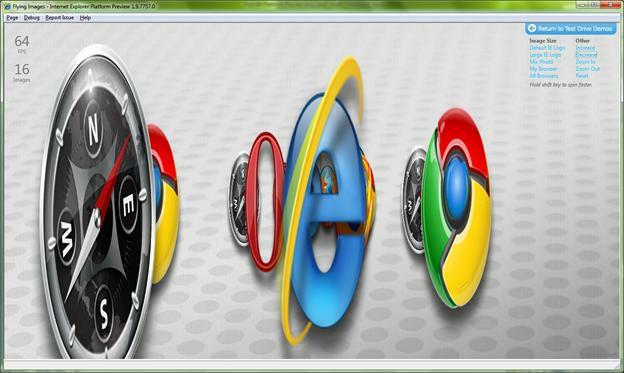 In sheer numbers, Google Chrome is small compared to a IE or a Mozilla. It accounts for 4% of the browser usage worldwide. However, Chrome (which was released in 2008) is Google’s real time bet into the way web is used in terms of speed and the way it supports cloud based applications, which arguably is the future for Google going forward. 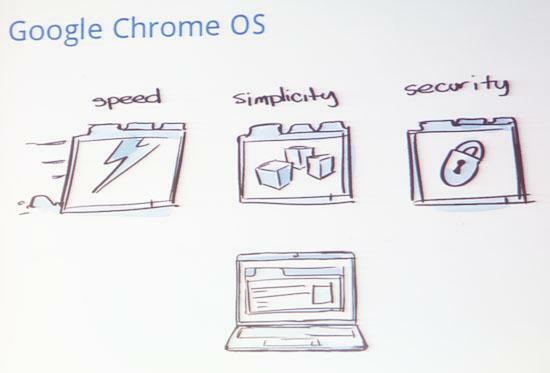 The Chrome integrates with HTML5 for faster deliveries of web based applications. 2.Next, Google has begun building its 03D plug in for hardware-accelerated 3D graphics into its Chrome browser. This paves the way for high-powered Web-based games. 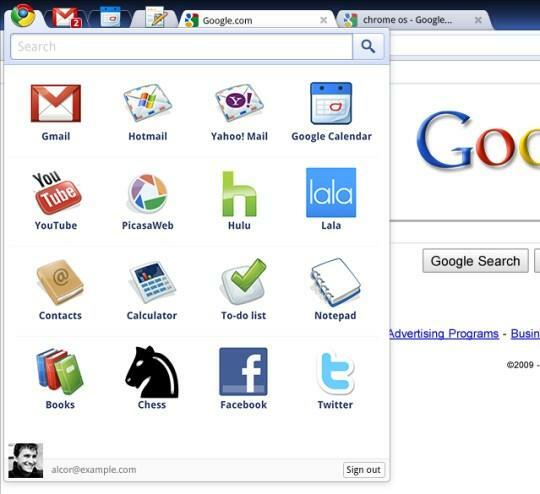 3.Google plans to build Native Client into Chrome, too. This is designed to let Web applications take advantage of a computer’s native processing power. But the Google’s big daddy of all ambitions was the Google Chrome OS, which coupled with the Google Chrome browser will stream applications and computing power from the cloud. This then would not only be a shot in the arm for Google’s Cloud ambitions but there is also a very real market of Netbooks which would love to have this booster.In other words, Google’s cloud-computing ambitions just got a lot bigger and there is a very real market for it. The Chrome OS will also help Google take the competition out in a click since all Web-based applications on netbooks will run not only on Google Chrome OS, but on any standards-based browser on Windows, Mac and Linux, thereby giving developers the largest user base of any platform. Masterstroke! 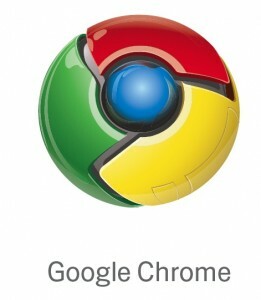 In terms of real time action: Google released the rough Chrome OS source code in November 2009 and released beta versions of Chrome browsers for Linux and Mac by December 2009. 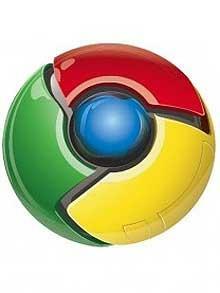 Many Chrome ambitions are still far from any practical reality, but the browser had effects in terms of stirring up competition. Mozilla programmers have improved launch speed in the Firefox 3.6 beta. 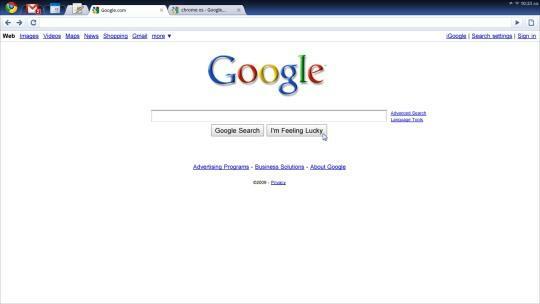 The 2nd Half of 2010 will see Google unveil the Chrome OS and coupled with HTML 5 and “forever getting better” Chrome Browser, this may disrupt the technology that drives mobile and netbook computing. Something that Google is not unused to doing. Microsoft has the likes of Linux, Apple, Google, Mozilla as competition on the OS and browser fronts. However, if July figures of browser market shares from net applications are to be believed, Windows XP and IE6 are the biggest threats to Microsoft! In them, Microsoft deals with an Operating System and Browser that refuse to die (much to Microsoft’s discomfort)! MS is all the way up-to IE8 and IE8 is splashing around as the safest amongst browsers (Read here). However it is IE 6 launched in 2001, that remains the leader in browser markets. MS is not amused by the mass of people who refuse to give up IE6. There are a number of reasons Microsoft isn’t happy with the IE 6 holdouts. First is that they might be easily swayed to Firefox. IE 6, after all, is so ancient that it doesn’t even use tabs. It’s clearly inferior to any modern browser. Put it next to Firefox, and anyone would want to switch. 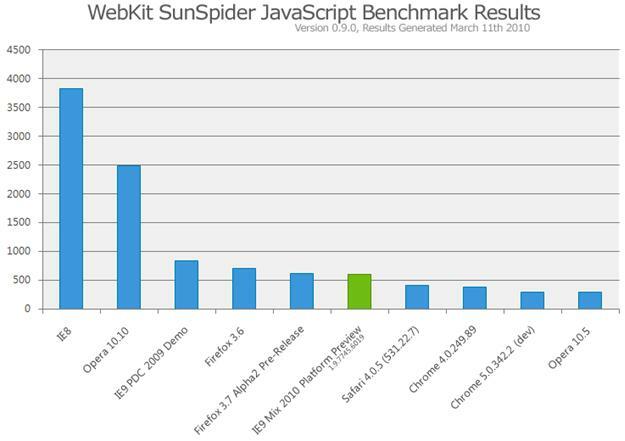 IE 8, by way of comparison, stacks up well to the most recent versions of Firefox. In addition, Microsoft has built features into the latest version of IE 8, such as Web slices, that are translatable into increased traffic to Microsoft or Microsoft partners, which in turn translates into cash. The more people that stay with IE 6, the less revenue for Microsoft. Beyond that, developers have gotten so sick of having to maintain their sites for IE 6, that they may eventually simply stop supporting it. That could clearly be disastrous for Microsoft. In fact, developers are so fed up with IE 6 that a group of developers have formed a group called ie6nomore as a way to try and get people to leave the ancient browser behind. As for Windows XP, that presents an even more serious problem. Every consumer and every enterprise that doesn’t upgrade from XP represents money being taken out of Microsoft’s pocket. The problem goes beyond people who don’t upgrade their existing PC. There are plenty of XP users who won’t buy new PCs because they don’t want to give up XP. So it’s not just upgrades that Microsoft is losing out on, but new sales as well. A little scratching behind the surface throws up interesting insights on how MS is unable to chain the twin monsters it had fostered so long. Microsoft caused this turmoil and now they have to deal with it. Microsoft Vista and Windows 7 are poor excuses for wasting a total of nine years in development. The results are a dozen versions of the same OS that “eats resources like dinosaur eats leafs, has a performance of a Yugo, but generate costs that rival a custom made Maserati”. Even the innovations haven’t been exciting really: A UAC that covers up the still present security holes and Aero that doesn’t work on most systems. IE6 has been around for a long time, because Microsoft wanted it so. XP will be around for a long time, because Microsoft didn’t produce anything after XP that is worthwhile to use. Microsoft is about to make itself irrelevant out of lack of user understanding and lack of innovation. 9 years of inaction after XP and IE6, relentless versions of the same old XP and IE and a failure with Windows Vista has made customers extremely skeptical about incremental innovation at Microsoft, so much so that there is a reluctance to trust Microsoft’s promises with the Windows 7! It is reasonable to expect that with thousands of developers, millions of dollars spent, and nine years of development time Windows Vista would perform drastically better than XP on the same hardware. That has clearly not been the case with Windows Vista! Users are unwilling to pay for the same performance that he is currently getting with XP. The argument being that after so many years after XP came out, Microsoft couldn’t write an OS that is better than it, but they have not been able to. This could be a hurdle with acceptance of Windows 7 as well. Microsoft needs to watch out! We’ll have to wait until October and beyond to see whether Windows 7 can solve one of Microsoft’s biggest problems — its aging operating system and browser and jump start its innovativeness in product philosophy! One of the new things HTML 5 sets out to do is to provide web developers with a standardized set of semantic page layout structures. However, the new elements may not be entirely forward-compatible, as they are constrained to today’s understanding of what makes up a page. An extensible mechanism, although less straightforward, would offer more room to grow as the web evolves.HTML5 does add new elements like header, nav, article, section, aside, and footer which expand the structural definition of a page, but does not provide the level of extensibility that people have been seeking. From a future perspective, HTML5 is seen as a document publishing, however, in its present avatar it is painfully evident that it lacks the tools it needs to describe the documents sufficiently. There is also a burning need to address the short-comings of HTML for web applications —especially when it comes to being able to build rich web applications for mobile devices. To be clear, just because a device uses webkit does not mean that it has the latest version of Webkit and can use HTML5. Recognizing the market share of Webkit is important solely as an indicator that a significant portion of smart phones will have access to HTML5 sometime in the near future. There is great incentive for mobile operating system vendors to upgrade to the latest versions of Webkit. They see the success that the iPhone has had and the fact that one of the main contributors to that success was the browsing experience. They understand that not many companies can afford to develop native applications for all of the various platforms which makes the features of HTML5 attractive. Because of this, browser improvements need to be a high priority for mobile operating systems. World Wide Web Consortium’s decision to not renew the XHTML 2 Working Group charter effectively means that XHTML 2 (as a web standard) is effectively dead. In its place as the future of web development stands HTML5. Given the emergence of “mobile internet” as the next revolution in internet medium, HTML5 is going to big a deal and it will be relevant much sooner than people think. Adoption of HTML5 will be driven by the needs of mobile, not the needs of desktop developers. HTML5 did not really matter until IE supported whatever new standard for mobiles or IE no longer has the majority of the market share. Given the fact that IE doesnot have a mobile bias, the smartphone growth will drive HTML5 adoption. The iPhone, Google Android, Nokia, and the Palm Pre are all based on the open source Webkit browser engine. Those phones represent somewhere around 65% of smart phones sold.If you look past mobile phones to other mobile devices like the iPod Touch, Nokia’s internet devices, and the upcoming Google Chrome, you see that Webkit is even more broadly distributed. The two major platforms not using Webkit are Windows Mobile and Blackberry. Some of the capabilities of HTML5 are available to Windows Mobile users via the Google Gears plugin. Fortunately, for both Windows Mobile and Blackberry, Opera’s browser is both available and popular. It is consistently one of the top if not the top download on mobile applications sites. And Opera is one of the leading developers of HTML5. Offline Support — The AppCache and Database make it possible for mobile developers to store thing locally on the device and now that interruptions in connectivity will not affect the ability for someone to get their work done. Canvas and Video — These two features are designed to make it easy to add graphics and video to a page without worrying about plugins. When supported by the phone’s hardware, as is the case with the iPhone, they provide a powerful ways to get media into a page. GeoLocation API — This is actually not part of HTML5, but is a separate specification. That said, it is often bundled together because the mobile phones that are including HTML5 are generally supporting the GeoLocation API. Most importantly, nearly all of the hybrid applications frameworks—Phone Gap, QuickConnect, RhoMobile, Titanium Mobile, and others—rely on HTML5 features to provide a rich application experience.